Heat oven to 400°F. Grease 15x10-inch or larger dark or nonstick cookie sheet with shortening or cooking spray. Unroll dough on cookie sheet; starting at center, press dough into 15x10-inch rectangle. Bake about 8 minutes or until light golden brown. 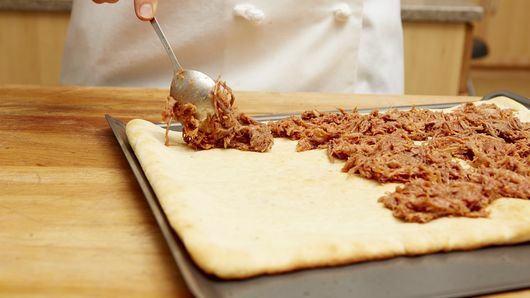 Spread pulled pork onto partially baked crust. 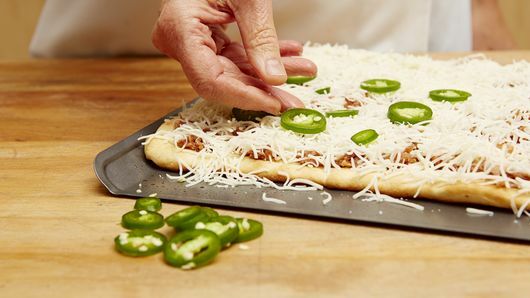 Top with cheese and jalapeño chile. Bake 8 to 10 minutes or until cheese is melted and golden brown. In small bowl, mix mayonnaise and Sriracha sauce until well combined. 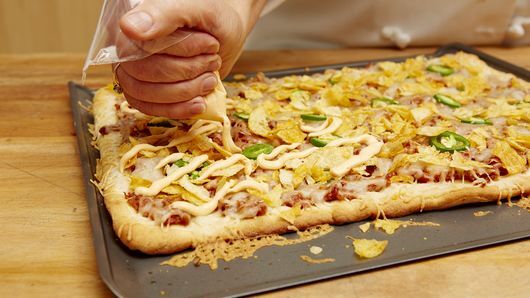 Top pizza with barbecue chips. Spoon mayo mixture into resealable food-storage plastic bag; cut 1 corner, and drizzle on top of pizza. 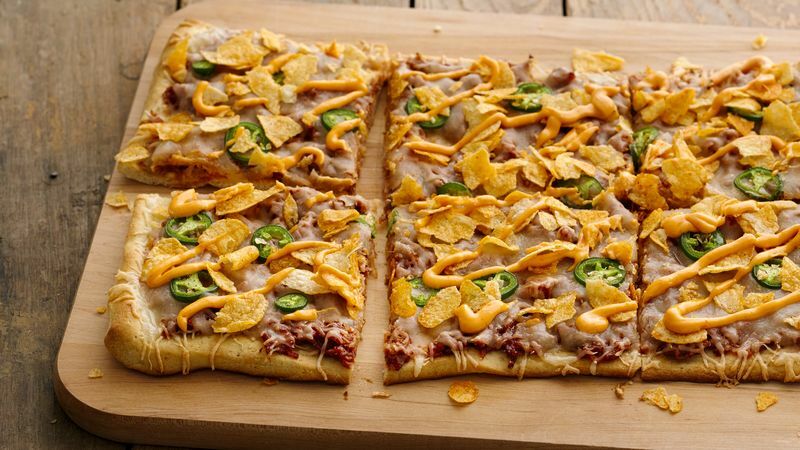 Top with crushed tortilla chips or crushed French-fried onions instead of the barbecue chips.